Driver's education is the first step in the graduated licensing process for North Carolina teenagers. 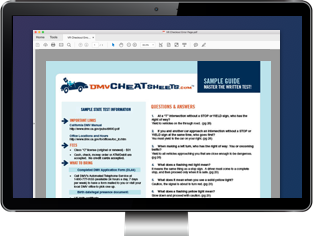 The North Carolina Division of Motor Vehicles (DMV) requires all teens younger than 18 years old to complete Driver's Ed before they can apply for their NC learner's permit. Driver's Ed will help you get your learner's permit, and eventually your driver's license, by teaching you how to drive safely and responsibly. In North Carolina, you must take driver's education before applying for your learner's permit. Be at least 14 1/2 years old. Have your birth certificate or a valid passport. Currently be enrolled in high school and on your way to earning your high school diploma or its equivalent. Show sufficient evidence that if you don't receive a driver's license, you and your family would suffer significant hardship. In North Carolina, Driver's Ed is provided through your high school. Keep an eye out for Driver's Ed information at the beginning of the school year. You will need to complete and submit the appropriate registration forms to enroll. You will also be required to pass a vision exam in order to complete your course. The first part of any North Carolina Driver's Ed course consists of 30 hours of classroom time. During this phase, you will learn information about driving regulations, violations, and safe driving. 2 hours after school for 15 days. Morning sessions and longer classes are also held in the summer and during other long breaks for 6 1/2 hours a day for 5 days. Paper and pencil for notes and written work. Your birth certificate or passport. Food and drinks for longer classes. Once you've completed the in-classroom component of Driver's Ed, you will be able to get behind the wheel (if you pass the vision exam). In this last part of North Carolina driver's education, you will learn and practice important driving skills under supervision and get a feel for what it's really like to drive a car. After successfully completing behind-the-wheel instruction, you'll be done with North Carolina Driver's Ed and will receive your Driver Education Certificate. NOTE: If you have not yet completed high school or earned a GED, your Driver's Ed course will also issue you the required Driver Eligibility Certificate in order to apply for your permit. Are at least 15 years old and younger than 18 years old. Pass the DMV written test, sign test, and vision test. Have your high school diploma OR your Driver Eligibility Certificate. On your Level 1 learner's permit, you will be allowed to practice driving during approved times of the day with a supervising driver. For more information, visit our Applying for a New License (Teen Drivers) in North Carolina page.